EIGHT TEAMS remain in the hunt for cup glory as the Telkom Knockout quarterfinals take centre stage this coming weekend with the action kicking off on Saturday. EIGHT TEAMS remain in the hunt for cup glory as the Telkom Knockout quarter-finals take center stage this weekend, with the action kicking off on Saturday. Wits striker Lehlohonolo Majoro should be on fire when they face the stubborn Maritzburg in the Telkom quarter-finals at Harry Gwala Stadium. Baroka FC host league champions Mamelodi Sundowns in the weekend’s opening fixture, which is followed by what’s sure to be an epic clash as Orlando Pirates travel to Durban for an encounter with the unpredictable AmaZulu at Moses Mabhida Stadium. 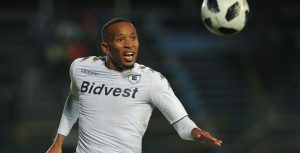 Maritzburg United and defending champions Bidvest Wits conclude the day’s action at Harry Gwala Stadium, while the pick of the quarterfinal fixtures takes place at Moses Mabhida Stadium, where Kaizer Chiefs host Supersport United in the only match scheduled for Sunday.